ArtBeat will install a customised photo booth for you at your next party, wedding or event to capture all your memories. Photo booths have become a must at every baby shower, wedding, birthday bash, carnival and any event you can think of. Want your very own photo booth which is completely customisable? Give ArtBeat a call. 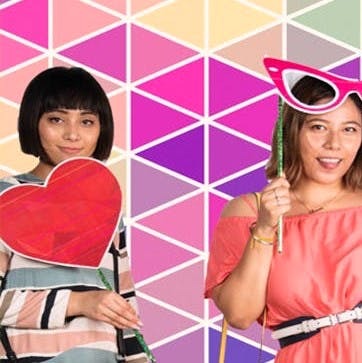 From strobe lights to props, they’ll give you the photo booth of your dreams. The booth will come with a white backdrop. You can digitally insert, change and choose the background you want. Goggles, lips, moustaches and hearts, they pull out all stops when it comes to creative and quirky props. Too drunk to take fun pictures at 2am? Don’t worry, there’ll be a professional photographer who will make sure the pictures don’t come out hazy. Their team of professionals will e-mail you the photographs on the spot so you have a soft copy immediately. They understand how important it is to be the first one to upload an epic picture on social media feeds! Bookings have to be done at least a month ahead. So, last minute planners you should buck up to avail their services.